Hello backers, Bust received some more headlines over the weekend, starting with a positive write-up on Glasgow’s Big Comic Page. Please do check it out and spread the word. 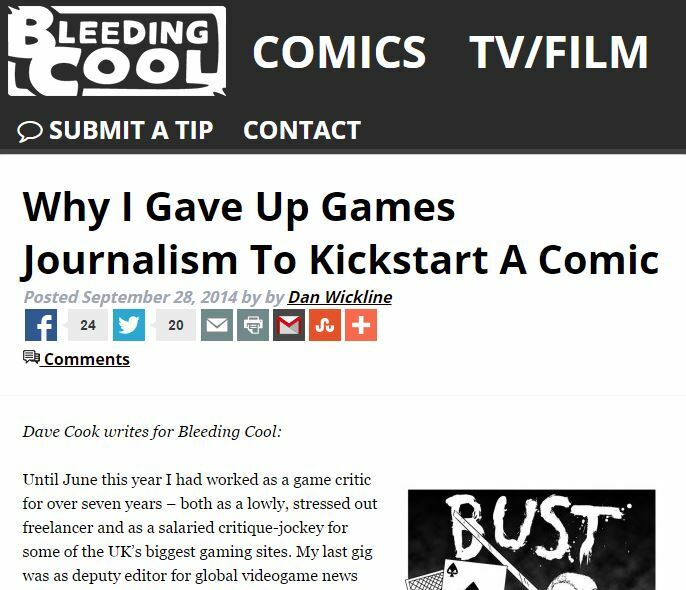 I’ve also written an article for Bleeding Cool entitled, “Why I gave up games journalism to Kickstart a comic,” and it’s all about my recent career change, the highs and lows of making your hobby your job, as well as some insight into how this inspired the Bust concept. Have a gander and let us know what you think. Thanks again for your amazing support! NextCustom backer sketches have begun!